The holiday season is fast upon us. With this comes the need to plan out your holiday content. 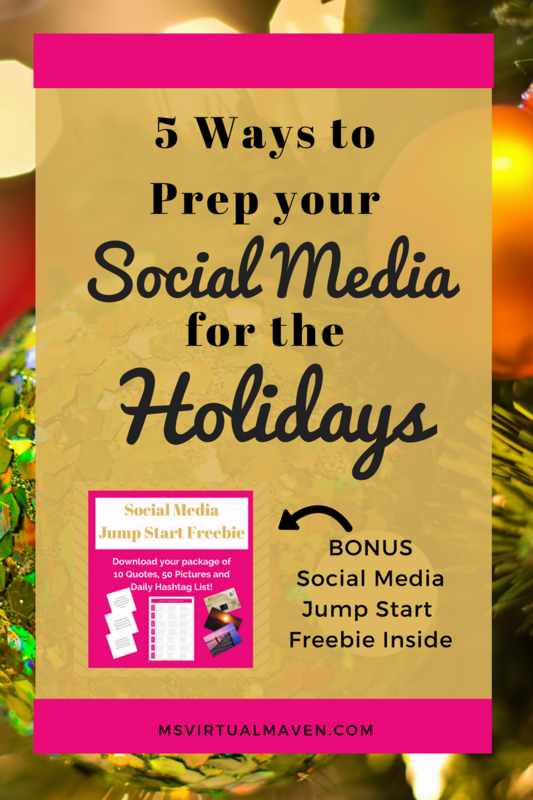 There are many ways you can work to prepare your social media for the holidays. Research National Holidays, take a look at what’s hot on the market this season for gift ideas and check out what your audience is looking for. During this time of year, more people will be investing last-minute cash into new services and products for that business write off. Many people post their wants, desires, and needs on social media, learn to hone in on what your audience needs to prepare your social media for the holiday season. Since the average consumer will be spending more cash for gift giving, it is prime opportunity to share products and services as gifts to your audience. To put it simply, the holiday season is the best time of year to increase earnings and get your social media to work for you. This time of year things switch up, you are going to be more focused on holiday content. You may want to push a service, product or affiliate link. Whatever your mission is this holiday season, be sure to go through all of your social media profiles to update them as a means to show your audience what’s happening right now within your business. Perhaps update links within your social media profiles to showcase a holiday sale, event or new product. Be sure that all of your social media profiles are updated and reflect the holiday season rush. There is a way to pin posts to the top of your Facebook Page and Twitter profile. Be sure that your most relevant holiday promotion, sale or product is pinned to the top of these two platforms. This task makes it extremely easy for your audience to find your products. If you run a Facebook Group or private forum, be sure to set up a pinned area where you will have frequent holiday-themed updates pertaining to your business. If you are a content driven website, then you will want to review last year’s holiday content. Check your analytics to see if any of the older content is still receiving traffic. If it is, update the social media images to provide a refresh and updated share to the post. Create an updated pinnable image, an updated Facebook and Twitter share image, perhaps schedule the posts to go out on Instagram. Utilize last year’s promotions and content if they are still valuable today. 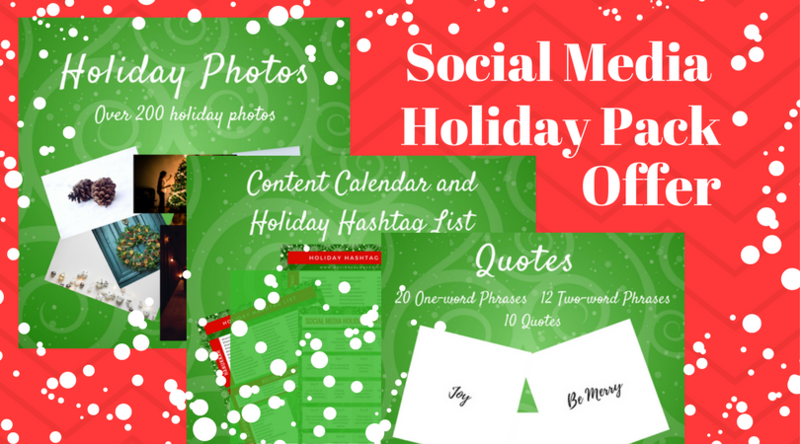 This alleviates the level of work involved in preparing your social media for the holidays while taking advantage of your older content that has already been indexed. During the holiday season, there will be a rush of customers, clients and new people interested in what you have to offer. If you want to truly expand upon this reach, hiring influencers will easily allow you to achieve that success. Whether you hire a virtual assistant to help maintain and monitor your social media holiday campaigns or purchase paid social media and blog content shares from influencers within your niche, you will succeed when you create a team of influencers to push that holiday content out on your social media platforms. Consistency is a battle if your social media is not properly planned out for the holiday season. Creating a content calendar with specific postings for each day will help in achieving your holiday goals. If you need a help with creating a content calendar, take a look at this product. 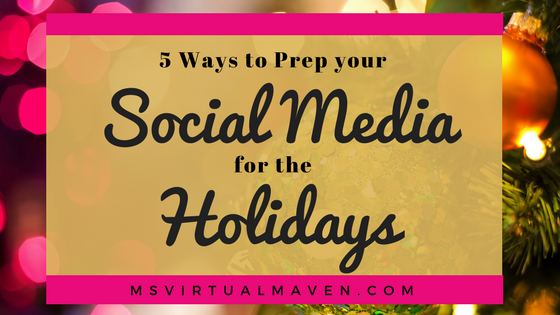 These recommendations will prepare your social media for a profitable and visible holidays. Planning properly, creating an editorial calendar and hiring help to push out your product, services, and content will make your social media plans a holiday success. Having a team on your side will ultimately ensure that your prep for social media push during the holiday season is successful. Implement each of these tips as soon as possible so that you can reap the rewards of the holiday season where consumers spend more and business owners are looking to have more tax write-offs. Love to hear from my readers! Share your holiday plans in the comments below. Really great content and things i had not thought of. I appreciate your insight. These are great tips, thanks for sharing! I’ve started to post some holiday themed pictures but really need to start planning out my content! Planning does eliminate the stress of trying to figure out what to post. 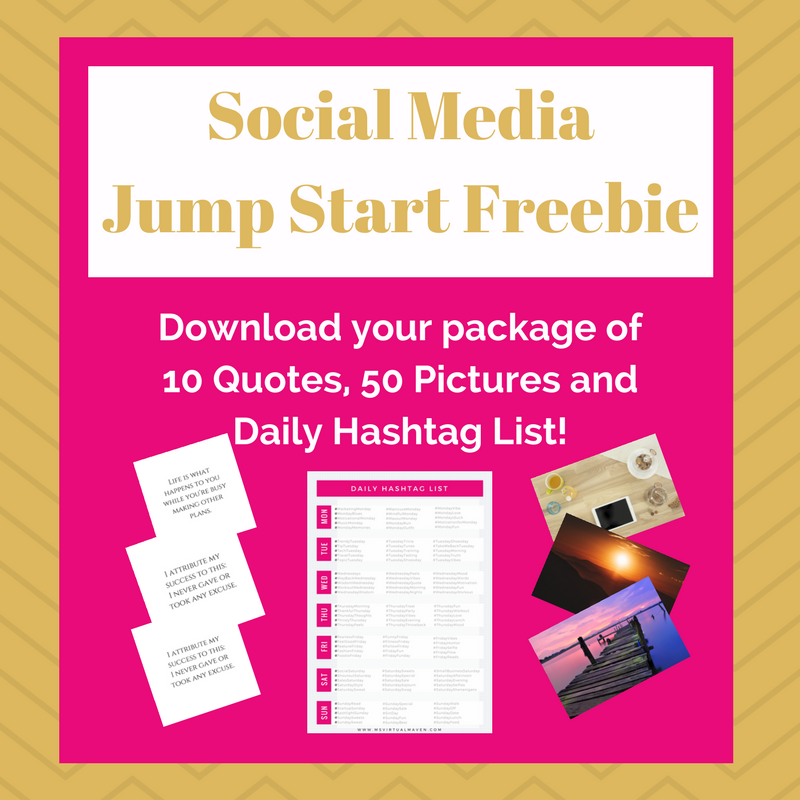 Check out my freebie and holiday offer for some ideas/help. Great article! Thank you for the tips! Thank you for your comment, Amy! Thanks, Tina! Appreciate your comment. I completely agree, we must prepare for the busy holiday season that is already underway but it will be more intense as we approach the final stretch of the year! I will update all profiles and add new images as well as SEO keywords to old posts! Thank you, Karla! Wishing you much success for the upcoming new year. Great post! I noticed that every one is writing something pertaining to the holidays! I’ll use these suggestions! Fantastic! Seeing all of the holiday posts are like listening to holiday music in the stores – a friendly reminder of the season/trend happening currently. These are excellent tips! Thanks for putting this together! These five things are excellent and a great reminder for me. It is so easy to get bogged down in what I need to do in the future that I forget I have great content from the past that I can re-purpose. Thank you!